The Lung Cancer Initiative, the state’s leading nonprofit organization supporting lung cancer research and education, announces its second annual partnership with The V Foundation for Cancer Research, one of the nation’s leading cancer research funding organizations. Together, they will fund research focused on lung cancer, specifically among the African-American population in North Carolina. The V Foundation for Cancer Research has matched Lung Cancer Initiative of North Carolina’s $200,000 grant, totaling $400,000 devoted to researching this cause. Funding from The V Foundation comes from the Stuart Scott Memorial Cancer Research Fund, which honors the late celebrated ESPN sportscaster and University of North Carolina graduate Stuart Scott and assists some of the most vulnerable and disproportionately impacted communities battling cancer. 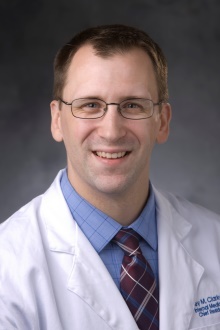 The focus of this research partnership is to fund new or existing lung cancer clinical trials in North Carolina or translational research proposals with specific aims that are moving toward initiating a near-term clinical trial. The projects also recognize and address the disparities in cancer incidence and death rates in African-Americans, as compared to all other ethnic groups. In the United States, lung cancer claims more lives than any other cancer and more than breast, colon, and prostate cancers combined. 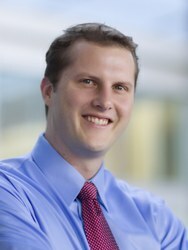 The 2017 grant recipients are Chad Pecot, MD at the University of North Carolina at Chapel Hill for his research on targeting the immune microenvironment to treat squamous cancers; and Jeffrey Clarke, MD at Duke University for his research on the identification of genetic determinants for disparities in African-American patients with non-small cell lung cancer. Since 2008, Lung Cancer Initiative of North Carolina has funded over $1.1 million towards lung cancer research. Identification of Genetic Determinants for Disparities in African American Patients with Non-Small Cell Lung Cancer. African American patients diagnosed with non-small cell lung cancer have worse clinical outcomes compared with other racial groups. The reason for this difference may depend on the genetic make-up of the tumor and alterations in how genes are expressed and processed in the cancer cells. Research to study the biology of African American lung cancer has been limited given the underrepresentation of minorities in clinical trials and tissue banking for research. Our project seeks to 1) use previously collected lung cancer samples at our institution to find differences in gene expression and processing between African Americans and Caucasians and 2) implement a program to expand the engagement of African-American lung cancer patients in clinical research and tissue banking. Our hope is that this research contributes to the understanding of biological reasons for racial disparity in NSCLC, and ultimately helps identify new ways to treat patients with lung cancer in the future. While targeted therapies of lung adenocarcinoma have improved survival, similar advances in lung squamous carcinoma (LUSC) have been stagnant. Extensive molecular profiling by the Cancer Genome Atlas (TCGA) effort revealed that LUSC tumors are highly idiosyncratic and rarely driven by solitary pathways. Recently, the blockade of immune checkpoints with anti-PD1 antibodies has demonstrated remarkable therapeutic promise in LUSC. We have uncovered a previously unidentified subset of squamous carcinomas characterized by chronic inflammation. We have developed a “Secretome” signature for this subset of patients, which is associated with very poor survival and is driven by a dense infiltration of inflammatory monocytes. These findings are the basis of a translational Phase II clinical trial under development. However, an important unmet need in North Carolina is an improved understanding of LUSC tumor biology in the African American population. We hypothesize that (i) our “Secretome” signature will predict response to PD1 antibodies in African Americans with squamous carcinomas, and (ii) that protein staining for CD14+ IMs in these patients will establish a predictive biomarker of response to CCR2 inhibitors. Building off of ongoing and upcoming clinical trials, the objectives of this proposal are 1) to determine in African American patients with squamous carcinomas whether our “Secretome” signature predicts for response to PD1 antibodies, and 2) to determine the optimal immunohistochemistry protocol for CD14 in these patients’ samples, which will be useful for an upcoming Phase II clinical trial.